ITP #15: October already! It’s hard to believe that the holidays are just around the corner. In this episode, Anush takes a look at extending a hand up to the homeless population, upholding dignity, and giving from the heart. The approach of October 1 at my day job is always a time of craziness, and that made for a really trying week. It's hard to believe that September is already over, and you know that the next 3 months are going to fly by. Here in the U.S., the stores have a couple aisles side-by-side devoted to the seasonal stuff. It's a combination of Halloween costumes and candy/Thanksgiving turkeys and fall leaf decor and Christmas decorations! And that's really how it's going to come and go in a flash! It seems like just a few months ago that I was writing about my daughter's wedding, and in just a couple weeks, she and Eric will be celebrating their 1st anniversary. Already! This time of year marks the beginning of the approaching holiday season. In general, people tend to be a little more generous during this time of year...usually. I know that the economic downturn, however, has made it stressful on many of us. It seems that the bills are always there, no matter what. And then life throws us a few curveballs along the way: the car breaks down (we know what that's about! ), you've got to take an unexpected trip, medical expenses, etc. It's easy for us to get stressed out about finances. And then the Christmas season is just around the corner and with it comes the gift giving madness...you know how that goes. As difficult as it does seem to get at times though, it's not as bad as it could be. We still have a roof over our heads, food in the fridge, clothing on our backs, and a bed to sleep in at night. At least most of us do. And this week, I wanted to talk about the part of our population that doesn't have these blessings. The homeless population. If you've been following my blog or listening to my podcast, you know that I am involved in our In His Shoes homeless outreach. I am in tune to this vulnerable population...not only because I work downtown, but because I was brought up with parents that cared about them as well. For the past 6 years, we have been providing meals and clothing to the homeless population on L.A's streets in the skid row area on a monthly basis. And recently we have partnered with Glendale's homeless shelter and we are now providing homecooked meals to the residents there. This gives us the opportunity to not only have fun cooking for them and watching them enjoy our efforts, but it also gives us a chance to sit down with them, talk to them, and to understand that they are no different than we are....except that we have support systems, and they don't. Today, though, I wanted to write about those that don't even have the four walls of the shelter to keep them warm and dry. I write about those that are living on the streets because I want to share some things that I've witnessed over these past weeks, months....years. Especially as it deals with dignity. I witnessed something this past Monday morning that is still pulling at my heart today, nearly a week later. I take the bus into downtown L.A. And as I got off at my stop, there was a group of us standing at the signal waiting for it to turn green. I noticed a woman about 20 feet away. She looked poor, though I can't really tell you she was homeless. I could tell she had tried very hard to put herself together. She wore pants and a shirt. They were clean but very worn. Her hair was combed to the side, her shoes had holes. I could tell she was thinking about something. I understood from her posture and from working with the homeless that she was trying to get the courage to ask for help. She came closer. Right next to me was a beautiful woman, dressed to the "t". Shoes, clothes, make up, matching bag, jewelry were all perfect and her hair was layered and flat ironed. She was very well put together. The poor woman approached her. I heard her start the conversation which went something like this: "Ma'am, good morning. I love how you have your hair. The way it's layered. It looks so lovely on you....." Okay, now if someone said this to you, would you not have the courtesy to say, "Thank you"? I was really taken aback when the pretty woman stopped this woman in mid-sentence, held out her hand like a policeman stopping traffic and said, "Stop! If you're going to ask me for money, I don't have any!" If you could see the poor woman's expression of horror when she was confronted this way. I heard her mumble something about needing only 35 cents...and then the poor woman apologized. I was so sickened, and saddened by this. I wanted to follow her as she walked off and give her money, buy her food....but I couldn't because at that moment that's not what she needed. she had lost her dignity. I know how mortified she felt at the rich woman's response. She had mustered up all the courage she had to approach this woman in the first place, and then to be rejected so terribly. I couldn't make it worse by showing her that I had heard the whole thing. I watched her gather herself together and walk away. You've heard me talk about my homeless friend Bob. I learned a long time ago to allow him to give back to me as well Over the course of the 5 or so years that I have had the pleasure of knowing him, he has given me so much: a penny with a hole stamped in it; a box with an Alaskan fish painted on it; a bag of nuts; a piece of candy; a white chocolate egg....and most importantly his wonderful friendship. When he first offered to share some candy with me, I thanked him and refused. But I noticed how that made him feel. When you're homeless, people avoid you. It's a given that you're going to ask for help. You already feel invisible as people avoid you, walk around you, don't acknowledge your presence. The simple act of talking to someone, and sharing something you own with them, makes you feel like you too have something to share. Like you too can contribute to the friendship. One of the things that Bob likes most, more than donations or food or money, is when people stop and talk to him. If you call him by name, he's your friend for life. And so I accept Bob's gifts of friendship. And I cherish them. Because here is someone who has so little. Everything he owns is packed onto his wheelchair...yet he has so much, that he wants to share it with me. I am touched by his friendship. Bob has got dignity! A few years ago, I witnessed this dignity in a homeless man on one of our Skid Row outreaches. We had pulled up to our first stop on 4th Street and San Pedro. There was a small encampment of people living in boxes (if they were lucky to have a box) or on the sidewalk. It was a cold Fall night, and a man came up and asked if I would have a pair of shoes for him. He said that he had shoes, and if we didn't have any, that was fine. But he thought he'd ask. The sidewalk had puddles from the rain that day, and the man's shoes were canvas and looked a bit damp. I dug around and found a pair of leather high top shoes. I held them up and asked if he could use them. He looked at them. He smiled. He said they looked great. He hoped they fit. He said he wouldn't take them if they didn't fit. And he took the pair of socks I offered him and set about to try them on. While he was trying them, I asked if he could use some soup, an emergency blanket? A rain poncho? "I'm good," he said. "I have everything I need, but thank you." The shoes fit. He was smiling....and stomping around. Then he did something I will always remember. He handed me his canvas shoes, and said, "I'll donate these to you. They're worn, but someone else can make some use of them. Oh, and I'd like to give you a donation." When I thanked him but said it wasn't necessary, he said, "Oh, no, I know it's not necessary, but I'd like to. It's important that we help one another. And your group is here helping us." He pulled out two rumpled dollar bills from his pocket and handed it to me with thanks. I was so touched. He looked like all he had was the clothing on his back and the new shoes on his feet. But he was happy. You could tell he had been on the streets for a long time. But he still had his dignity. He didn't want to take without giving back. These are just a few examples out of many that I've experienced on the street. The economic downturn can cause us all be feel less charitable. Of course, we're all feeling it. That feeling that, "I can't help someone else. Some days it feels like we can barely help ourselves." But is that really the case? Like I mentioned, if we have a roof over our heads, clothing on our backs, food in our tummies, then we CAN help others. Maybe we can't give financially, but do you have enough food? Then maybe you can pack an extra sandwich one day a week and pass it to someone who is hungry. Maybe you didn't get to eat that apple that you packed for your lunch? The gift of a piece of fresh fruit is a blessing to someone who is living on the sidewalk. Okay, maybe you don't pack your lunch. Maybe you're out on a business lunch...how about putting some of your lunch aside in a doggy bag to share with someone on the street? The weather is starting to get chilly in the evenings. Going through your closet you find a sweater or two that you haven't worn for a couple years. It may be a designer label, but what good is it doing in your closet? Wouldn't it be nice to share that with someone who has no sweater? You see what I'm saying? This may all seem really obvious to you, but when I talk to people about the homeless population, I hear lots of different opinions and some of them are very negative and judgmental. And is it our place to judge? Nope! When you think about it, we are all vulnerable without the love and support of our family and friends. Remove them from our personal equations and then think about what would happen if you didn't have them as your support net. Then think about not having that support, losing your job, losing your home, and then maybe having a dependency problem on top of it all. Life is not easy these days. It's it's especially tough when you're robbed of your dignity by having to ask for food and money. I also realize that not all of you have contact with homeless individuals, but there are still shelters and food banks that could use our help. With Christmas approaching, there are families that need help. What about adopting a needy family (with your family) and providing groceries for them? Donate to your local food bank, volunteer your time at a shelter. Get involved with charitable giving. At our church, St. Peter, we have all kinds of programs to help make our Thanksgiving and Christmas more meaningful. We have our annual food drive where we provide turkeys and food to needy families in our community, we have a toy drive to provide toys for the children of domestic abuse in the shelter, and our annual blanket project has us all knitting and crocheting beautiful masterpieces to give to those in hospitals and cancer wards. What about you? There's so much to do. And so much we can do. But what we should never do is rob someone of their dignity. It's only the giving that makes us what we are! So whether you can give financially- and many, many, MANY thanks to those of you who so generously donate to our ministry and our homeless outreach - or you can give of yourself...the importance is in giving...from the heart! As we start this new season and gear up for the Thanksgiving and Christmas, let's all work together in sharing Christ's love, compassion and peace with ALL those that we come in contact with. ITP # 14: Have you ever apologized for something and had your apology not accepted? Or worse yet, not acknowledged? Tune in this week as Anush deals with forgiveness, conflict resolution, and "moving on"... if that's possible. There's something that has been weighing heavily on me for the past several months, and on Friday, it finally came to a head. Because you know I share everything here on my blog, I wanted to write about it, thinking that it would be good to hear your ideas, reflection, insights as well. It's all about forgiveness, and hurt, and apologizing, and then ...have you ever thought about what happens when your apology is not accepted? Here's what happened. My coworkers and I used to put in a couple dollars a week to play the lottery. My one coworker was in charge of the winnings which we would keep to buy more tickets when the jackpots got big. We would always communicate via email. So when one day the jackpot winnings were at an all time high, my coworker (let's call him Ray) sent out an email: "Shall we use some of our booty to purchase more chances for tonight's drawing?" In regular form, our group sent back responses saying yes. Now, mind you, Ray has always been very jovial, fun, and has always had a good sense of humor. Playing on his use of the word "booty" I wrote back, "I agree! An idle booty is the devil's playground". You know that old saying, right? Idle hands are the devil's playground. All I meant was yes, let's put the money to good use. I thought nothing of it. The following day, though, my friend was very quiet. All day. When I was leaving, I asked, "Ray, what's up?" No response. "Ray?" He responded, "Nothing, just busy." Okay, maybe he's a little moody. I thought nothing of it and off I went for the weekend. On Monday, when Ray walked in, I greeted him with my usual good morning. Nothing. No response. And the several hours later, I received an email from him. "I thought about it all weekend, and I don't know what you meant by your comment, but I will no longer be handling the money for the lottery." WHAT? Seriously. I went back to re-read my email to see if I said anything wrong. Nope. So I wrote back. I explained what I meant...that it meant nothing. I was trying to just make a play on the words he had used. Obviously, I said, it was misunderstood and if I had offended him by it, I was truly sorry. I explained that he was my friend! We had known one another for 10 years. And I would NEVER do or say anything to hurt him. And if I had, again, I apologize. I waited for a response. It never came. And then there was silence. I thought, okay, maybe he didn't get to the email yet. He seemed busy. I waited. One day, two days. Still nothing. You have to know that we work in an office. I have a cubicle, and there are four of us that share a quad of cubicles. So we're right there in each other's space. The silence from him, flowed over to my other coworker, his friend who announced via email that he had decided that he was no longer going to play the lottery and wanted out. I had decided that I didn't want to be part of it any longer either because losing friendships over something so petty wasn't worth it. And within a day, our lottery group that had been playing for the past 4-5 years disbanded. The small amount of winnings we had were all divided up among us players and that was that. But the silence continued. Our department has always prided themselves on being close with one another. We're the "fun" group of our office. Yet now, this whole thing had thrown a wrench in the works. Days turned to weeks, a week turned into a month. I would literally come to work, say good morning in my quad. Other than a "good morning" from the other two (not Ray), not one would talk to me until I said, "good night guys" at the end of the day when the same two would say goodnight. The third coworker was not involved in it at all, but because he works for Ray, if Ray ain't talkin' he wasn't either. Anyways, it was incredibly uncomfortable to say the least. Of course there are other people in our office that I would talk to, but this was always there for me. If you know me, you know that peace is a big part of me. My heart has to be at peace or I'm not okay. This all started back in June. My boss had been on vacation. When she returned, she felt it. She asked me what was going on. And I told her. I shared with her my email that I had sent...Ray's response, and my apology. She thought that was really strange. She didn't understand. She told me she would handle it..that she didn't want this type of thing going on, but I asked her to please give it more time. I just cringed at the idea of her calling us in. As I had been the odd man out here, I thought it was just going to put more of a strain on things. I told her that I would like to handle it. She was getting ready to go on a business trip. She said okay and that she'd check back in after her returned in 3 weeks. By now over a month had gone by. The silence was taking it's toll on me. I couldn't sleep. I discussed it with my husband, my mom, my daughter. I didn't understand why he couldn't accept my apology. I didn't understand how this person that I thought was my friend, would think that I would say something to offend him. My health started suffering for it. I had to go to the doctor who said my stomach problems were from stress. I even started looking for another job. With my boss gone, I had incentive to get this worked out before her returned. All the while I had been praying about this. Asking God to open Ray's heart so he could see inside mine. I thought I'd try again. That Monday, I wrote him another email. I asked if he would have a few minutes to talk to me. I told him I understood he was upset, but I didn't understand why...and again, obviously, I said, it was because of my initial comment, but i truly didn't mean anything of it...and again, I apologized. Would he have time this afternoon to resolve this? I received no response. The whole day I waited. The following day I came to work, and he had responded. He said there was nothing to talk about. We should just allow time to take it's course. That was it. And he left on a 3 week vacation. This whole thing has been very stressful and difficult for me. I am a Christian. I don't take that lightly. Those that I talked to about it told me I had nothing to apologize about. But I didn't have a problem with that. We're all human. We are not perfect. And if I had hurt someone, I had no problem in apologizing for my offense. But the difficult part of this whole equation was that I had done my part, but my apology wasn't accepted. And not only was it not accepted, it was ignored. I started thinking about apologies. When we forgive someone we do it not for them but for us. I started working on forgiving him....so that I could start dealing with what I was feeling because as the weeks were going on, getting up and going to work was getting more and more difficult. At work, I continued trying. I continued saying good morning. I continued saying good night. When my boss returned she didn't mention it. A couple more weeks went by. And then two weeks ago we all went out to lunch with a client. Ray was late, and when he arrived, the only seat left was across from me. Dread. Everything was fine with the group. My boss was sitting next to Ray, I joined in the conversation with the others in our department, and Ray directed his conversation to everyone but me. And my boss picked up on it. That afternoon she called me into her office to find out what happened while she was gone. I explained the attempt. Shared the email with her, and Ray's non-response. I told her I didn't know what else to do. I had tried. A few days later, my boss called Ray in. The door was shut. And they were in there a long while. When he came out, he went back to his desk and continued working. The following morning, I asked my boss if she had spoken to him. She was busy. Yes, she said, she had. She could talk to me about it sometime when she had more time. In the meantime, she said, Ray was supposed to talk to me. This past Thursday, nearly a week after that (and three months after the initial incident), as I was packing up for the day, Ray came up and asked if I would have time on Friday, after lunch, to talk. "You want to talk to me? ", I said. "Sure." The following day he approached me in the afternoon. He suggested we go outside to talk, so down the elevator we went, outside to sit in the plaza. He started out saying, "I don't know where to start with this. The boss says you're upset." You can imagine my inner reaction to that, right? I mean here's a man that has made such an effort to ignore me for the past 3 months...and he says we're talking cuz I'm upset? So if he didn't know where to start, I would just have to help him. And I did. I think God opened my mouth for me. I told him that he knew very well what he was doing, because being cruel was not something that anyone did naturally. I reminded him that I had apologized 3 times, yet he had chosen not to even discuss or acknowledge that apology. I told him I didn't understand what I had done or said that offended him so badly. I asked him to explain. And as I always do when I am frustrated, I started to cry. To which he replied "Don't take it personally like that....you don't have to be upset." Really? Apparently, my comment had made him feel that I was questioning how the money from the lottery funds were handled. Go figure. Although he understood that I had apologized, he said that sometimes people say things and then apologize after but the damage had been done. I asked, did he feel this was my case? We went around and around He told me that he was sorry that he had made me feel so bad. I asked him if he accepted my apology. His response took me aback. He said, "Well, I've learned to move on." I told him that wasn't the same thing. He said, "I can forgive...but it's going to be hard to forget." I was stunned. Forget what? But then I thought about all I had been through too. And I conceded. "Okay I said. I get that, because I can forgive you too....but I will have a hard time forgetting as well." I think the thing that really hurt me the most about this entire stupid thing was the fact that this is a person that I considered my friend. Not a dear friend, but this is someone that I see at work 5 days a week. I thought that after 10 years of working together, that I knew him...and he would know me. I told him that he should know by now, that I would never want to do anything to hurt a friend. Intentionally or unintentionally. And there was also hurt there because I thought I knew him. I wouldn't think that a friend would intentionally want to hurt me either. We don't do that. Yet he had. And he knew it. When I called him on it, he had no answer. So how did it end? Well, he asked how we should move on. I told him I would like us to be civil. To start saying hello again. We didn't need to be best friends, but we should be courteous. It will take time we both agreed. I told him that I had prayed for him. That God would open his heart to understand mine. He said, "Well, maybe it worked." That was it. We took the elevator back up. At the end of the day, I packed it up and said, "Good night." "Good night," he said. That was the first thing he has said to me in the office in 3 months. It's a start. I am relieved that it's over...that it's somewhat resolved. Although I know things will ever be the same between us. I can forgive, though it's difficult to understand why someone would want to hurt someone by not accepting their apology. Perhaps he didn't know me as well as I thought he did. Who knows. All I can do is keep praying and let it go. 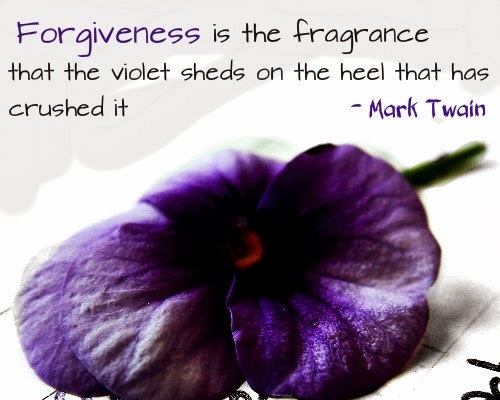 I found this nice quote on forgiveness by Mark Twain. The violet has no choice but to be crushed by the heel though. I did have a choice to allow Ray to crush me with his actions. And I don't know why it was so stressful for me and why I allowed it to hurt me so much. Because truly, in my heart, I KNEW that I hadn't done or said anything to hurt him. So why? Why couldn't I just let it go knowing that I had done my best to resolve the situation? Why not just say, "hey not everyone has to like me...." y'know? I'm still taking a look at that one. At what point do we need to stop apologizing? In my case, I think it was more of a character issue. It was important to me that he understand that I wasn't like that. I would do something to hurt him. Yet, looking at it from the other side now, obviously, I had. I suppose Ray's not acknowledging my apology was his way of punishing me. But in turn, wasn't it more of a punishment to the self to have to put yourself through purposely working so hard to hurt the one you're upset with? Anyways, these are all things that I'm pondering. What do you think? I'd love to hear from you. ITP #13: What is the measure of your success? Are you goal oriented? Or are you more about learning along the way? This week, Inside the Pomegranate takes a look at success, failure, determination and perseverance. If you follow my other blog, the Journey of the Pudgy Pomegranate, you may have read my post last week about success. Today I wanted to kind of continue on that subject. Success. I've been thinking about it a lot because two weeks ago my wWeightWatchers leader asked me to speak about it to those that attend my Wednesday meeting because we're beginning a new set of discussions on it. So each leader was supposed to ask two members to speak, and my leader asked me. I questioned this. Surely she had me confused with someone else because I have not been successful at all. Seriously. I've been attending meetings since February, and have only lost 15 pounds, so why me? I have been plateauing for 4 months...maybe even 5 now! Sandy assured me that she hadn't made a mistake. She told me that I was successful because I keep trying. I keep coming back. Great. So she handed me a sheet with 4 questions on it and asked me to present the answers at the next Wednesday's meeting. Well that was the week before the Avon Walk. So I thought about it. I mean I did the Avon Walk. I set out to walk 39.3 miles in 2 days and I did it. So that was a success. I thought about the fact that I was walking with my brother, and my sister-in-law by my side...and my daughter, sister and my husband were working on crew. My younger brother was texting me while I was walking for updates. And I thought about how blessed I am to have a close relationship with my family. Was that a success? For me, yes, although I think success usually is goal related, and has a positive outcome or objective met, right? I thought of my past history with breast and colon cancer. My objective was to fight it...and I did. I was walking and I am healthy. So I am successful when it comes to that. So all was good. I mean, I just thought about it. A lot. What is success? What makes us successful? Do you always have to reach your objective to be a success? This type of thing. So last Wednesday, I went to my WW meeting with my questions in hand. But at weigh in, after walking over 40 miles that weekend, I got to my weigh in to find my weight up 1.8 pounds. Really??? I mean after walking over 40 miles this past weekend. After all the training. And then to add salt to the wound, my friend who started the same week as I did back in February, hit her 40 pounds lost...and I just felt so low and defeated. All this negative speak was going on in my head. How come I can't have that success? Seriously. There was no way I was feeling successful. And the thing is, that I work so hard at it. Tracking my intake, drinking my water, staying active, eating healthy when my highly successful friend doesn't do any activity and manages to consistently have the scale heading lower and lower every week. So I'm sitting there all disappointed, and trying to hold it together and be happy for my friend. But inside, i'm just feeling really sad. And then our leader gets up and introduces the next topic and invites me to come up and speak. So I start off telling everyone a little bit about how I felt prior to joining. This part was fine. I told them I used to weigh much more that I do now...but I had also weighed less than I do now as well. And the whole thing about the empty nest when Ani got married, emotional eating and how I needed to get things back into balance and control so I re-joined. Okay this was all fine. But the next question was, "What helped you believe that you could succeed?" That was a tough one because really, the way things were going, I don't really know if I can succeed. I mean, I'm doing all that's humanly possible. So I explained that believing in success is one thing. And believing in fighting for what you want is another. I told them about how I was a survivor...and how I had just walked this amazing 39.3 mile walk. And then....I went there...to the dark place. I told them that despite all my efforts the scale was not moving. I told them about the plateau. I told the how frustrated I was...and then, I got all choked up. Tears were coming out. I felt totally stupid. My nose was running. I told them how it was so difficult to sit here week after week and listen to their successes. By this time, I can't make eye contact. I'm standing up there, looking at my little paper and reading from it. I told them that I had no idea why Sandy had chosen me to speak about success. That I wasn't a success. Blah blah blah. I mean, it was difficult. At this point, I look up at the people in my meeting, and guess what they did? Half of them were standing up....to support me. One lady yelled out..."You are a success! What about the 60 pounds that you're successfully keeping off? What about fighting cancer?" I was genuinely touched by their support. Sandy went and brought me a tissue and threw an arm over my shoulder. It's true, yes. But those aren't the successes that I was focusing on at the moment. Flash forward to this afternoon, because I kept thinking about it. We were at dinner at my daughter and son-in-law's home, and I asked them what they felt was the meaning of success. Ned (my husband)'s answer was "You set a goal. You achieve it. That's success. Plain and simple." Boo. I didn't like that one. My son-in-law had a different take on success. He said, "There are two types of success. You set a goal and have the outcome according to how you planned it. That's one type of success. Or you set a goal, have a plan, work on achieving the plan but you may not be able to meet the objective HOWEVER, if you've learned something along the way, then you're successful." I liked that one better. And Ani's response, "You have a goal and a plan. You work toward the goal. You're a success if you continue to grow and keep trying. Goals change. You have to learn and keep going. Once you stop learning, you stop growing. Once you stop growing, you stop caring." How true is that? Right? So I came home and looked up meanings of success: Dictionary.com stated success as "The achievement of something desired, planned or attempted." Another site said, "The accomplishment of one's goals. The attainment of wealth, position, honors or the like." The thing is that our successes are individualized and personal. I may achieve exactly the same thing as someone else yet not feel as successful as the other. Or vice versa. It made me remember high school geometry (worst subject EVER!!!) I'd feel successful if I could just pass the test. Yet, if my friend didn't get an A on her test, she felt like a failure. So going back to my meeting, I added, there are other successes. Like perseverence, and trying. And I guess for me, that's what I will need to measure my successes by. I'm like the Little Engine That Could. I keep saying, "I think I can, I think I can." It's not easy. I have a lot of stresses in my life. Dealing with cancer, follow ups and check ups, family, taking care of my mom, running a homeless outreach, trying to build my own business, holding down a full time job. There are things that I can control, and things that I have no control over. I can do my best to stay on plan (which I do). I can track my intake (which I do). I can do everything I'm supposed to, and one of the most important things that we all have to do is to be honest with ourselves and take responsibility for our actions (which I do pretty well most of the time). So if we're doing all these things and the outcome is still not as planned, then what? Well, I think we have to not necessarily change the goal as much as we need to re-assess. What have I learned along the way on this journey? Discipline. Control. Perseverence. Patience. And then were there positive outcomes other than the scale that I achieved? Well, yeah. Being healthy, maintaining weight loss, getting a grip on emotional eating. So I guess it's about seeing the glass as half full rather than half empty. Winston Churchill said, "Success is not final; failure is not fatal. It's the courage to continue that counts." And here's a great one: "Success is to be measured not so much by the position that one has reached in life as by the obstacles which he has overcome." Booker T. Washington. I am on this journey. The goal is to be healthy. I know what I need to do. All I can do is do the best that I can do. Honestly. If I am doing my best, taking responsibility for my actions, and learning along the way, then I can call that a success. My body has its own personal agenda. As much as I wish I could measure my success by the scale, my success has to have a different measure. It has to be measured in knowing that I am eating right, that I am well for now, that I am being honest, accountable and doing the best that I can on the road to being healthy. 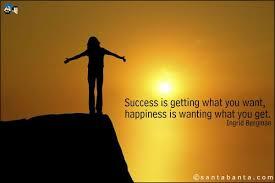 And finally one last thought from Dale Carnegie: Success is getting what you want. Happiness is wanting what you get. How do you measured success? I'd love to hear from you. Leave your comments here! And have a fantastic and successful week! Let's all try to focus on our successes, however they may be measured. ITP #12: In Episode 12 of Inside the Pomegranate, Anush talks about the comfort in familiarity as it pertains to Team In Her Shoes’ participation in the Avon Walk for Breast Cancer Santa Barbara. What do parakeets, signs, clappers, PINK, hills, and pain all have in common? Take a listen! It’s all Inside the Pomegranate. I'm sorry I'm a bit late getting this blog out. I haven't been feeling too well for a few days but I think I'm on the mend. If you follow my blog you know that I walked in the Avon Walk for Breast Cancer this past weekend. We walked 39.3 miles. Our Team In Her Shoes raised an impressive $12,056. between the 6 of us that walked. We also had 9 team members on crew this year. My husband Neddy and Sugar's husband Zee, and another friend of ours crewed Pack Up. My sister and 3 of my friends (all past walkers) crewed food service. And Ani (yes, Ani Bubbles) and her friend Stephanie, were on the medical crew! It was an amazing weekend, as it always is. This was my 10th time participating. And while I was on the route with Fr. Vazken, we were about to turn a corner on about mile 34 and I said, "There's a woman on this street with parakeets." And sure enough, we rounded the corner, walked down about 1/2 a block, and there they were. The parakeets. In a cage on the front lawn of a home, as it always has been in years past. And Fr. Vazken said, "That's what you should blog about. The familiarity of things and how it brings comfort." It's true. I have done this amazing walk 10 times in my life. And most all of those times were in Santa Barbara. The first time I signed up to do the Avon Walk was back in 1998...when the walk was a 3 day walk where we traveled from Santa Barbara to Malibu - 60 miles - doing 20 miles a day. I was younger then. But I signed up that year to celebrate my 5 years of remission from breast cancer. I remember the walk fell right on my anniversary day - October 22. It was the day I finished my last radiation treatment 5 years prior, and they told me then that if I make it to 5 years without recurrence, you can consider yourself cured. 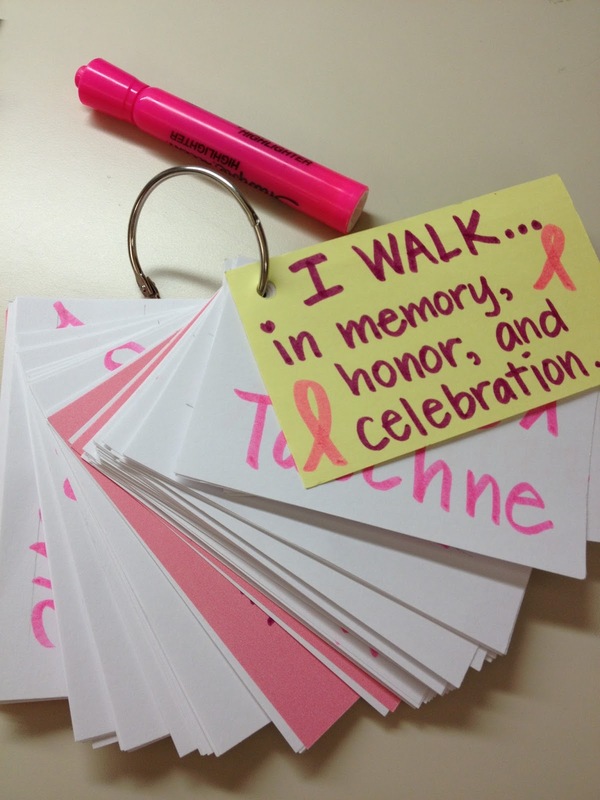 So what better way to celebrate than to give back and do this walk. I walked alone that year, and along the way, I met survivors, and people that were walking in memory or honor of their loved ones. I met those battling cancer right at that time, with no hair, and scarves or hats. After spending the past 5 years worrying about recurrence, doctor's check ups, blood work ups, mammograms, this walk empowered me. took a break for a while. And then Avon announced that they were changing course and having a 2 day, 39.3 mile (Marathon and a half) instead. And I signed up...and I haven't stopped. up if you're a survivor! Looking back now...there definitely is a comfort there in the familiarity of the event. And because this experience has been so great for me, I wanted to share that experience with whomever wanted to join in. Last year we had 18 walkers, most of them first timers. I was the team leader and mother hen. I organized training walks, and fundraisers. I sent out packing lists and play-by-plays of what needed to be done. It was a lot of work, but what it did was make my walkers' first experience so memorable, that some of them signed up again for 2013. Maybe not to walk, but to support...to participate, to be there and stand up for the cause. And I so appreciate all their efforts. Because a walk of this proportion requires so many staff and logistics personnel to make things run smoothly. And my team was part of that as well. I was thinking about what it is that makes this so familiar for me. I mean, it's a once a year event and there are 363 days in between to think about, but the feeling is so powerful and the impressions so vivid, that I thought I'd share with you. There is familiarity in PINK. From the moment you arrive at Event Eve the Friday before the walk to the time you head home after the closing ceremony, you are surrounded in pink. Pink Ribbons, shirts, pink bubble gum, pink Reeboks, you name it, they have it in pink. You just know, year after year, that there will always be pink there. And it envelopes you. You want to wear pink to show you're part of the group. Even my husband - who hates pink! - wore his pink crew shirt for the closing ceremony. There is comfort and familiarity in preparing my pack for the walk. I have it down to a science. I carry with me the names of those that are fighting cancer, have won, have lost the battle. Those hang from a carbeaner for people to see. My pack carriers my water, a pen, a lot of blister bandaids, Alleve, lip balm, cell phone, bandana and my ID. This year, I felt like the patron saint of blisters, because seriously, I distributed those blister bandaids any time I came across a fellow walker who had a shoe and sock off at the side of the road. I never get enough sleep the night before, though I always try, but I guess it's the excitement of the next day. Morning comes and off we go. Drop off your duffle bag and sleeping bag at the truck and head over the the opening ceremony. The sun is just peaking up, and we meet up with the team on the right side of the stage. Everyone's got their pink on. Every year is a surprise with what people will wear, but the familiarity is in that there will always be surprises. This year we saw two men in pink plaid kilts walking. The usual pink wigs and tutus. Capes with the names and photos of loved ones. Tshirts with team names and cute sayings. The ceremony begins. We are told that every three minutes someone gets diagnosed with breast cancer. Sadly, this is familiar....for the past several years. The statistic hasn't changed. A small group of people people approach the stage and each tells their story. One has battled cancer, one has lost a loved one, one is a teen whose life has changed by it, one is battling now. Each puts a pink ribbon around the other's neck. The ribbon says 'every three minutes" and we're told that throughout the weekend, these pink ribbons will be randomly distributed to remind us that within the short time that we're together during the weekend, that many lives will be changed forever by a cancer diagnosis. And then, so you can feel the connection of the weekend and the disease that brought us together they ask you to raise your hands and hold them up if you're a survivor. Up go my hands. Up go my friend Sugar's hands. Then raise your hands if you're participating because someone you love is affected by breast cancer. Up go more hands. Raise your hands if you're there because you have lost someone to breast cancer. More hands go up. Now reach out and take the hand of the person next to you. There we stand all of us hands in the air, holding on to each other. It's the most beautiful thing. And very emotional. In that moment you realize the connection. How this terrible disease is affecting each and every one of us who are there. The walk officially begins this way. And off we go. I love the cow man! We follow the coast heading north. It's beautiful. And there are so many walkers. You can see all the people walking for their loved ones. The sound of the people who are supporting us walkers are all familiar. Friends and neighbors, sleep children in their pajamas sitting in front of their homes, volunteers, all come out along the route to cheer along this moving sea of pink. Clapping, cheering, plastic clappers, cowbells, applause and "thank you's". There are those that volunteer every year to cheer. I have my favorites. There is a woman that is there year after year. She's got her sparkly pink TOMS on. She pulls her car over, puts on her Shania Twain CD, and dances as we walk by. Last year I noticed a quiet, unassuming volunteer on the route. She would applaud us quietly as we walked by. This year, I saw her again. As I walked by all I said, was "Hey, I remember you! You were here last year." This woman was so excited that I remembered. "Yes! Yes, I was here!" She gave me a hug and I thanked her for cheering for us. For the next 39 miles, she was my best friend. Each time I saw her I approached her with "Hi, favorite cheer person!" And this of course would make her smile and wave at us. There are always three older ladies with pink wigs and outfits that cheer, dance and sing for us. There's a man dressed as a cow - udderly ridiculous. He cheers, offers walkers sublock and reminds us to stretch. All of these volunteers do their thing for us, and then get in their cars, go a few miles up the route, and do it all over again, all day long. All weekend long. schedule. Because each rest stop has a closing time, and you'll be shuttled to the next stop if you fall behind so it's important to pace yourself on the walk and do at least a 20 minute mile consistently to avoid what they call "being swept." The hills are familiar to me. I have to say that this year was my best year. I usually hit a wall somewhere around mile 20. But this year I was okay with it all. As soon as I hit mile 17, the remaining miles are in the single digits....9 miles to go. 8 to go. When we hit 6, Fr. Vazken said, "Six miles. That's 2x around the Rose Bowl ...we can do that." It was constant inner dialogue like that. And as we got to about mile 21, there was familiarity in the ocean, the beautiful surf, the fine mist of the waves crashing. We were walking along the Montecito estates. The prettiest part of the walk. I remembered that years prior, when Ani and I were walking this path, we made up a story and tried to see if we could get a rumor started. We knew that Oprah Winfrey had a home in Montecito. When we were around a group of walkers, we started talking about how this particular estate was Oprah's home. That year on that day there was actually preparation for a large party at that estate, and we overheard our rumour catching wind. Walkers were trying to look through the fence to see Oprah's house. Year's later, I always think of that walk with Ani whenever I pass that home. At mile 24, Ani is working the rest stop. She offers hugs and muscle rub. Its great having a nurse daughter. She also had a stash of clean ice that I wrapped in my bandana and tied around my neck. The buses are lined up there, ready to take those that can't go on over to the wellness village. Keep walking. Around mile 25 a woman standing on the side of the route, puts a pink ribbon around my neck. Every three minutes. I am part of the statistic. You know that mile 26 is around the corner when you hear the cheering. Mind you, it's not just 26 miles on that first day, but 26.2 miles. And that .2 takes forever! But finally, as you enter the wellness village, you hear the cheering, and the clapping. This year, my husband was on crew and so he was there when I crossed the Day One finish line. As familiar as it is to cross it, it was way better to see him there. There are other familiar faces too. The Avon staff and volunteers are there. There is a tent set up with foot massagers, and you plop down on the chair, slip off your shoes and let the little mechanical massager work it's magic. In the short time that you're seated there, talking with your friends old and new, this terrible stiffness and soreness creeps in. And you really wonder where it came from so suddenly. Even that's familiar. Standing up is painful. Sitting down is painful. Walking is painful. It's all painful. My legs, my hips...but not my feet. My feet were fine....no blisters! As painful as it is, you know that tomorrow, you'll be okay. Sore or not, you're going to wake up, lace up your shoes, and hit the road for another 13.1 miles! The wellness village is like a tent city. The big tent has hundreds of tables and chairs where you can sit and have your dinner visit with friends, charge your phone, watch the entertainment. There is a tent for medical care; a tent for chiropractic; a tent for massage; a mini store; and a tent for yoga stretch. This year four of my team members worked in food service including my baby sister, Sona. Our girls were hilarious, always bringing their craziness and fun with them. Two of them wore Wonder Woman aprons, and two wore aprons with bikini bodies on them. They were having a great time serving up the hundreds and hundreds of walkers with their smiles. There are tents, and there are portapotties. And there are amazing shower trucks with wonderful hot private showers. After dinner, I sat near the phone charging station to charge up my phone, and I had a conversation with a nice man named Ricky. He was just sitting there. Long hair to his shoulders, a friendly smile. We spoke while we waited. In a little bit, Ani came up and joined us. Ricky had lost his mother to breast cancer. He looked to be in his 50's. Was a gardener from Texas. We shared mom stories. My mom has been staying with us. And Ricky said that when his mom got diagnosed, she called him to come home. He was her caregiver. He told me that he would try to keep up her spirits in the end, but the cancer had spread and she wasn't up to anything. Eventually she passed. He was there with her. He said he missed her terribly. For the first few months after his mother died, he didn't know what to do. And then he heard about the Avon Walk. Despite the fact that his brothers discouraged him, he signed up. And he has been walking in her memory for the past 4 years. He said, "I have to do something. This is what I do. Once a year. For her." 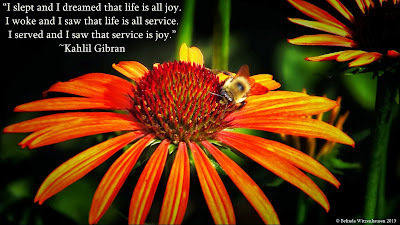 The following day Ani shared with me in passing. "Hey Mom, I saw your friend Ricky this morning around mile 10. He was wearing a cape." : ) That's another great thing about the walk. It's okay to wear your cape. There's a woman on this walk who is an icon. Her name is Barbara Jean. This woman has to be in her late 70's, and she has walked EVERY walk in each of the cities that it's held in, every year for the past 16 years. Santa Barbara, New York, Atlanta, Chicago, Denver....if there's an Avon Walk she's there. Walking in memory of her husband. She walks with her daughter, and this year her granddaughter was on the Youth Crew. Truly amazing, this woman has raised over $1.5 million dollars for breast cancer. When you're walking on the route, her familiar cape pinned with ribbons that hold the names of those that she's walking in memory of is a reminder that anyone, no matter what age, can make a difference as long as you have a caring and compassionate heart. She deserves the cape; she's a super woman. Yn. Susan, Fr. Vazken & I at Mile 39! The next morning you don't have too much time. Get dressed and cleaned up, pack up your sleeping bag and your tent, put your duffle bag on the truck, have breakfast, fill up your water, and be ready to hit the route ready to tackle another 13 miles. Everyone is moving a little slow on day two. And the soreness seems to get greater and greater as the miles go on but you don't dare stop. We walk on, and one. The motor crew - bikers that volunteer for the event - with their dyed pink beards, ask more frequently now: "How are you doing? Doing okay?" And finally, a short walk up a hill, and through one of the final residential areas....this is where the parakeets are. They're there every year. I've never seen the person they belong to but passing by this manicured lawn , you can't help put spot the cage of parakeets. So colorful. This is my reminder. A reminder that this journey - at least for this weekend - is almost over. As we near mile 39, we hear the music and the cheering of the crowds. The finish line is only a short block away, but in order to make it a true 39.3 miles, they route us down two blocks and across three and then back...and finally the finish line is in view. The mile 39 marker is there, and everyone lines up to take a picture with it. Approaching the finish line we're greeted by our family, and the rest of our team. It's emotional. We hold hands and raise them in victory. We hug. And cry. And laugh. And take pictures. 39.3 miles. Familiar miles. An all too familiar disease. Friendships made because of it. Friendships stolen because of it. And because of cancer research, lives are saved as well. Sorry for the "hat hair"
make an entrance....followed by all the crew members who helped make the walk happen. And then we get to see how the money we raised is distributed as Avon presents the checks to the various community organizations that are recipients. That's what's good about this walk: the money stays within the community and the community benefits with cancer research, mammograms for the needy, meals for those battling cancer. Again we're asked to raise our hands in the air, reach out and hold the hand of the person next to us. We observe a moment of silence for those who are no longer with us because of this disease. And to me, it's a time to recommit myself to the cause. I will keep walking. I will keep fighting. The walk is empowering. When cancer hits it's easy to think of yourself as a victim. I mean this is something that happens TO you. You're definitely not in control. But when you walk this walk, surrounded by so many others that have walked in your shoes, and you in theirs, you put that victim mentality aside, and you become the victor! I was telling our family and friends after the closing ceremony, that we've all heard about drugs like PCP that give the user superhuman strength and allow them to do the unimaginable. Alone, I don't think that I would be able to walk 39 miles in 2 days' time. But together, with the love, support, prayers, and by the God's Grace, we are able to do amazing things. We can turn IMPOSSIBLE, to I'm POSSIBLE! I want to take this opportunity to thank all of your for your prayers donations and support. Especially your prayers for a blister-free walk because I didn't get the blisters this year and I know it was because of those prayers. I also want to thank you for giving me the honor of walking in memory, honor or celebration of your loved ones. I carried them with me every step of the way and I felt your thoughts and prayers with us too. I also want to congratulate our Team, In Her Shoes for once again, making this weekend a memorable one. We did it. AND, I want to let you all know that sign ups for Avon Walk 2014 started that afternoon at the closing ceremony, and I'm proud to say that Team In Her Shoes 2014 ALREADY has 12 members!! So think about it. If you're interested in walking, or crewing next year, drop me a line. If you have your doubts about being able to do it...c'mon! We'll do it together! Remember: Whether you believe you can, or you believe you can't, you're right!! Believe you can! Make a difference!! Be the change. In It To End It!!! Here are the cards I will carry with me every step of the 39.3 mile journey. I will hang them from my pack for all to see and as reminder that we have to keep walking til we find a cure. There are a few of you out there whose cancer is so new, I wasn't quite sure you wanted it out on FB at this time, so I didn't list your names. If there are others that I missed, comment with the names, or just message me by Friday. Thank you to all of you for your donations, support and prayers. Please pray for us this weekend. And send us blister-free wishes too. I'm in it to end it!